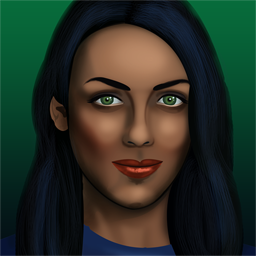 A 256x256 png portrait of a woman with green eyes. Me very much like it. Thanks for sharing, Natasha.